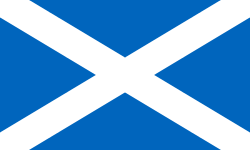 Today is November 30, also known as St Andrew’s Day. In Scotland, and many countries with Scottish connections, St Andrew’s Day is marked with a celebration of Scottish culture that includes traditional Scottish food, music and dance. What’s not to love, right?!? My own love affair with Scotland started just over 5 years ago, when I moved to Edinburgh for my exchange year. Scotland has much more going for it than just kilts and bagpipes, which, let’s face it – is pretty interesting in itself! Seeping in rich history with its seemingly endless gorgeous landscapes and outstanding islands – I have no words to describe how I feel when I’m there. People often ask “But why Scotland? It must be raining and cold all the time!” and I agree that the weather can be a little chilly, but the warmth comes from the people – they make you feel like you are home. In a sense, watching Scottish movies reminds me of this great time in my life and of the wonderful people I met. If you can’t get to Scotland to experience this for yourself, perhaps watching clips from classic Scottish films below will give you a sense of what I’m talking about – which leads me to this, my list of top 5 of Scottish movies. Every Tuesday when I was an exchange student at Heriot Watt University in Edinburgh, my fellow language students and I had the opportunity to get together to watch Scottish movies thanks to one of our teachers, who was clearly passionate about movies. I’ll admit there were days when the call from the pub(s) was stronger, and I wish I attended more of those Tuesday movie outings, but if there’s one movie that stayed with me, it’s for sure Red Road. It won the Jury Prize at Cannes in 2006. It tells the story of a CCTV security operator played by Kate Dickie (apparently she’s in Game of Thrones, thanks IMDB!) who one day, through her monitors, recognizes a man she encountered in her past and hoped she’d never have to see again. It is named after and partly set in the Red Road flats in Barmulloch (Glasgow), a notoriously violent area, which were the tallest residential buildings in Europe at the time they were built. I obviously had to include one of the (unfortunately few) films where Peter Mullan was behind the camera; he also directed Magdalene Sisters in 2002 (I’d be happy to lend you the DVD!) and Neds in 2010. I remember discovering his work as an actor in Boy-A, also starring a relatively unknown Andrew Garfield in 2007, and thinking to myself “is he really speaking English? !” After my mom revealed the extent of his talent to me… I’ve never looked back. The film was made not long after the death of Mullan’s own mother and he stated that the film was some king of response to her loss, where he used different emotions he had been experiencing since her death. Without question one of the most famous Scottish films ever. Also one of the most quotable films of all time (Choose a life. Choose a job. Etc…)! Here we follow a group of heroin addicts in a late 1980’s economically depressed area of Edinburgh including Ewan McGregor, Johnny Lee Miller, Robert Carlyle and Kelly MacDonald. The only “sad” note in this is that despite being set in Edinburgh, almost all of the film was shot in Glasgow, apart from the opening scenes in Princes Street, which were shot in Edinburgh. Danny Boyle has recently confirmed plans for a Trainspotting sequel, set for release next year to coincide with the 20th anniversary of the original film. Let’s prepare for 2016 by watching Trainspotting one (more) time before the sequel. I’m pretty sure you’re now reading this asking yourself “seriously?!”. I know the previous movies mentioned are not the kind of feel-good movies you want to watch on a Sunday night just to forget it’s the end of the weekend, it’s quite the opposite. But this is it now: Sunshine on Leith is what you’re looking for. It is an adaptation of the stage musical of the same name, a jukebox musical featuring songs by The Proclaimers. If you need a reminder, click here. This movie was screened in the Special Presentation section at the 2013 Toronto International Film Festival. I hope some of you got the chance to catch it as well. I’m usually not a fan of musicals. I don’t know if it’s Edinburgh, The Proclaimers or hearing Peter Mullan singing but I found this movie very charming and infectiously joyful. The Angel’s Share tells the story of Robbie, a young Glaswegian father, who narrowly avoids a prison sentence and then vows to turn over a new leaf. He and his friends from the same community payback group happen to visit a whisky distillery when a route to a new life becomes apparent. Watching their adventures from Glasgow to the Highlands is simply a pleasure. The comedy is definitely a “light” film for Ken Loach, but it’s funny, charming and delightful. Also, a fun fact about the title: The Angel’s Share refers to an expression that describes the portion of a whisky’s volume that is lost to evaporation during the ageing process. It’s worth 106 minutes of your time for sure, and why not open a great bottle of whisky while you’re at it?